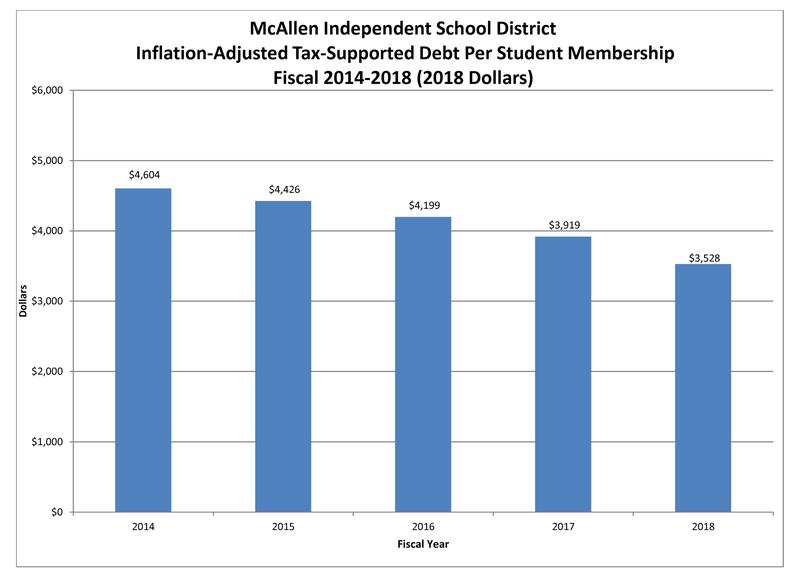 As part of our continuing commitment to transparency and accountability to our community, McAllen ISD is Maintaining summary information about its outstanding debt. 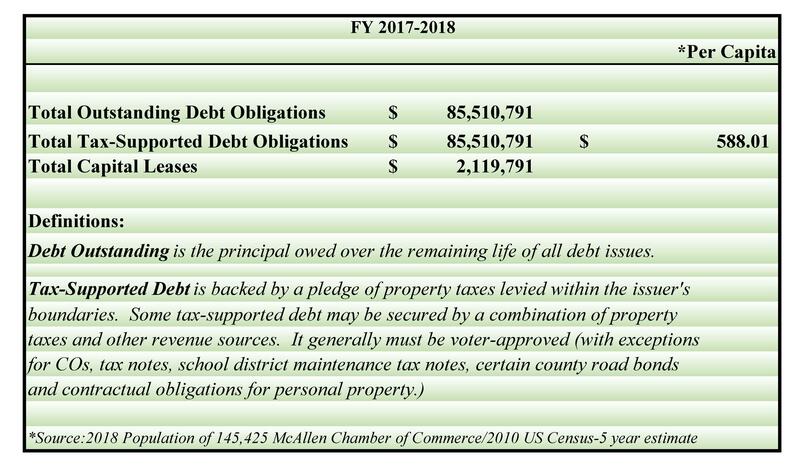 Long Term debt information includes debt obligation, funding source, original date of issue, maturity date, interest rate payable, purpose, principal amount of original issue, outstanding balances and outstanding debt per capita. 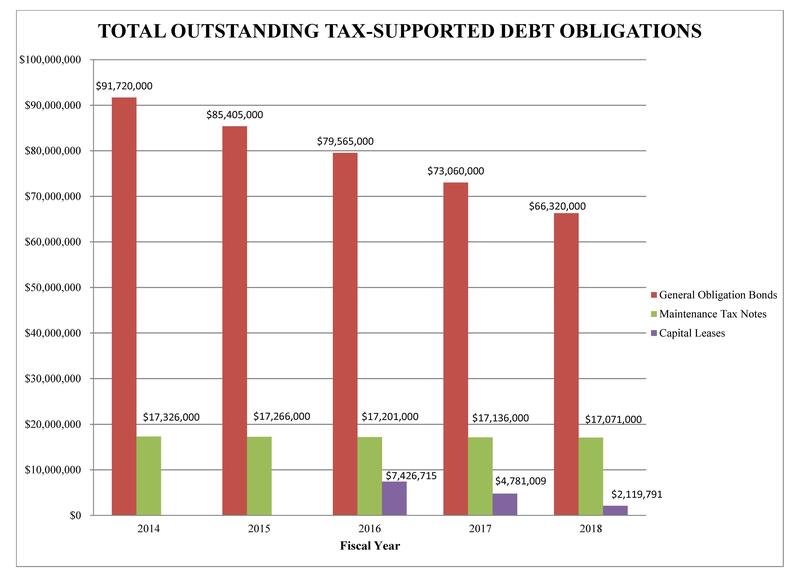 Issue by Issue Outstanding Debt Obligations (excel) – Outstanding Debt Obligations as of June 30, 2018. 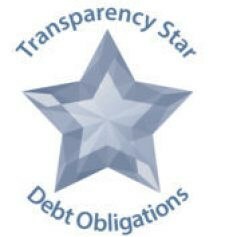 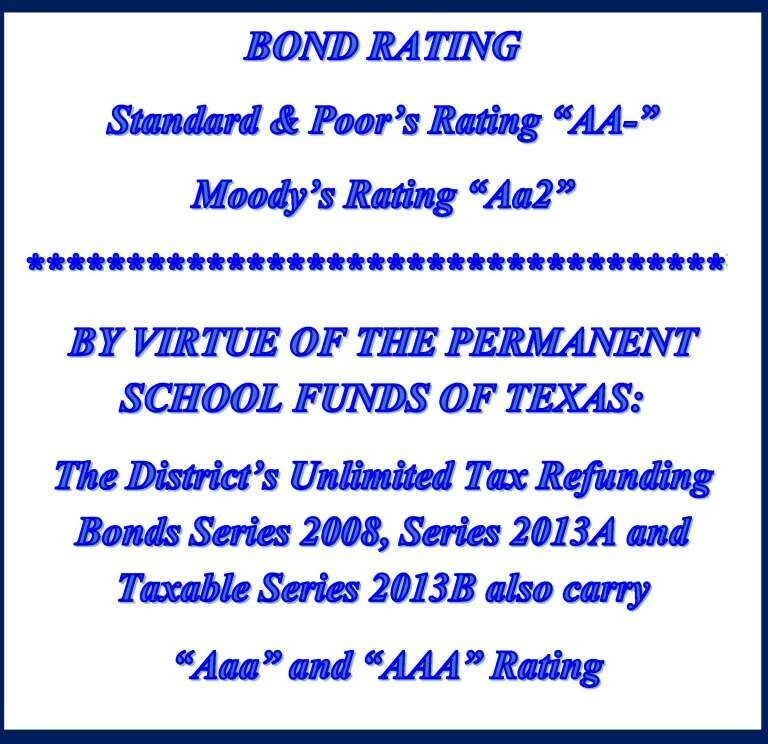 Transparency – Link to the Texas Comptroller of Public Accounts DEBT at a Glance tool website.